City Council meetings are held on the 2nd and 4th Tuesdays of each month at City Hall, 444 S 1st Avenue. Meetings begin at 6:30 p.m. All meetings are open to the public. The agenda includes an opportunity for citizens to present information or ask questions on any city related issue during the Citizen Comment section of each meeting. Agendas for Council meetings are set by the City Recorder and Mayor. If you wish to have an item added to a City Council Meeting agenda contact City Hall. If you need any special accommodations for attending a Council meeting please contact City Hall not less than 24 hours prior to a meeting for assistance. The Mayor, a voting member of the council, serves a 2-year term and is elected at the November General Election of each even numbered year. Mayor Kirsch was sworn in January 8, 2019. His term will expire December 31, 2020. To contact Mayor Kirsch directly, email at tkirsch@ci.mill-city.or.us. Call City Hall at 503 897 2302 if you wish to contact the Mayor or Councilors. City staff will relay messages to all elected officials. 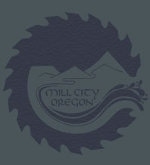 All Council members receive correspondence at the city hall mailing address, PO Box 256, Mill City, Oregon 97360. For agendas, packets, or minutes of the council, click on the below links.